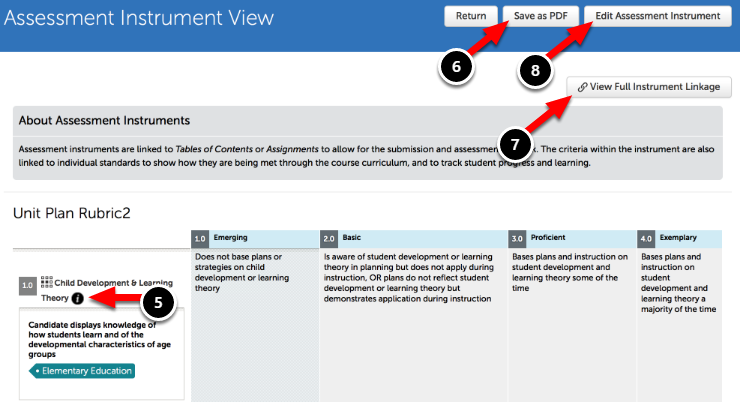 Viewing an Assessment Instrument provides you with the option to Download the Instrument as a PDF, view all Instrument linkages, and more. This lesson will teach you how to view an Instrument, and where to find additional features. 4. Locate the Assessment Instrument that you would like to view, and click on it to reveal its options. Select View. 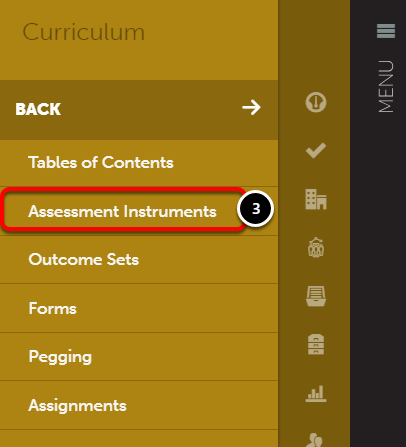 On the Assessment Instrument View screen, you will see a preview of the Assessment Instrument. 5. 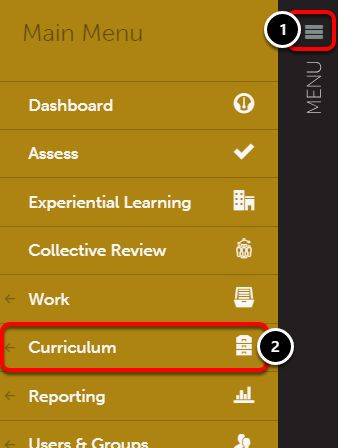 Use the Information icon next to the criterion name to view its description and tag(s). 6. Click on the Save as PDF button to download the Instrument as a PDF. 7. Click on the View Full Instrument Linkage button to view all Instrument linkages. 8. Click on the Edit Assessment Instrument button to edit the Instrument.